Whether it’s jet skiing, kayaking, canoeing, kite boarding, snorkeling or swimming you’ll find it in the Bahamas. 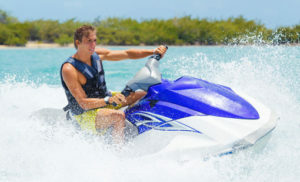 Jet skis rentals and other water attractions are available right off our beach. It feels just as amazing as it looks! 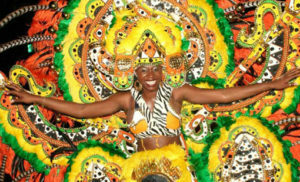 Embrace your inner-caribbean fashion sense with Bahamian hair braiding. Friendly and talented hair braiders will transform your hair into a style that’s fun, playful or romantic – all through the art of braiding. Match your look with a colorful island sarong and you’re ready for any day or night activity. Braiding available for adult or child. Conch is the national food of the Bahamas. Similar to calamari meat, conch is used in a variety of Bahamian specialties – conch salad is among the most popular. Watch as our staff chops, dices and flavors this colorful masterpiece dish. Served right as it’s prepared, this super fresh and delicious treat is guaranteed to excite your taste buds. Unbelievably clear waters at glorious temperatures (an average 80 degrees) make swimming and snorkeling at Paradise Island Beach Club a most popular relaxation pass time. Not too far down the beach is a secluded coral reef cove, making snorkeling experiences that much more spectacular. Relax and unwind during your island getaway as our massage therapists help in relieving muscle aches, reducing stress, eliminating toxins while rejuvenating the body, spirit and mind. Your massage can be set-up either ocean side, where you can enjoy the sounds and sea-breeze, or in the comforts of your own villa. Couples massages are available upon request. 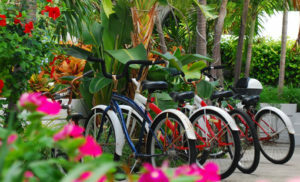 Should you tire from all the relaxation, consider taking advantage of the bicycles on property and cruise around the island. 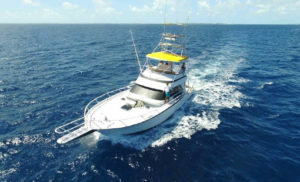 It’s a fun way to explore the sights of Paradise Island.